Yesterday was a wonderful fall day. There are so many little parts of our days that I wish I could capture and put in a time capsule. The way Hailey bounds downstairs in the morning rubbing her eyes and telling me about her dinosaur dreams. The way Kaitlyn calls for me the then “hides” in her crib only to jump up and yell BOO when I walk in her room. I love this phase so much, and while I know I can’t capture it all and continue to try to live in the moment instead of bottling it up, I do like to record these days every so often. So, here was yesterday. My alarm went off at 5:30 am and as usual, I head straight to the office to blog, answer emails, enjoy my morning “quiet time.” Around 7:10 am I started hearing a soft “I yike mommy” which is Kaitlyn’s way of saying I want you to come get me mommy. I ran to get dressed quickly then went to grab her about 15 minutes later. Morning snuggles are my favorite. We headed to the kitchen and I stared at the fridge trying to figure out breakfast. I didn’t meal plan last week and this day reflects it. I had the stuff to make avocado toast for me and found yogurt for the girls. 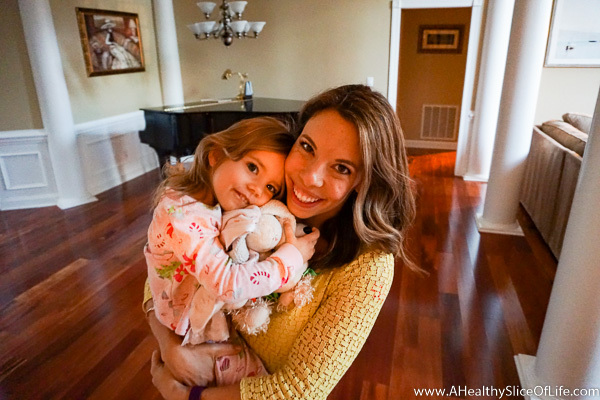 Around 7:55 am Hailey walked in the kitchen, sleepy and smiling and full of stories of dreams. I told the girls to go get dressed and get shoes on while I cleaned up and started some laundry. 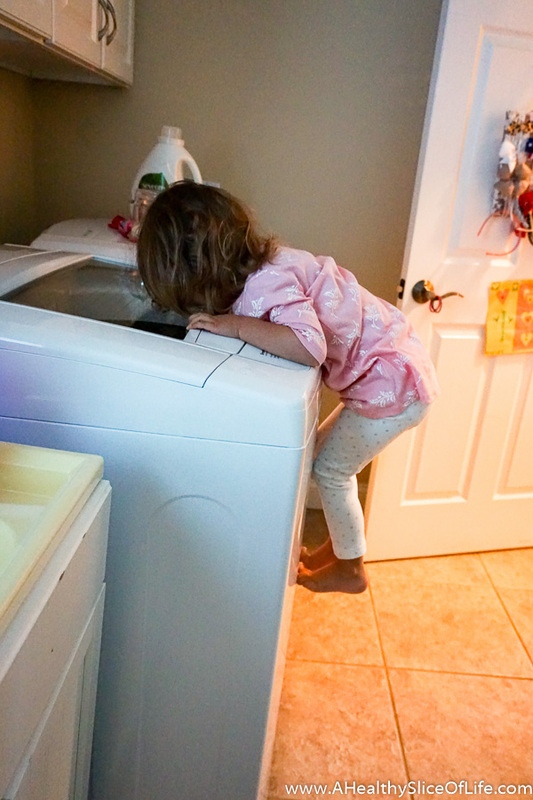 Like a moth to flame, Kaitlyn immediately is drawn to the washing machine to watch the clothes go round. She hung on like this for a solid 5 minutes. 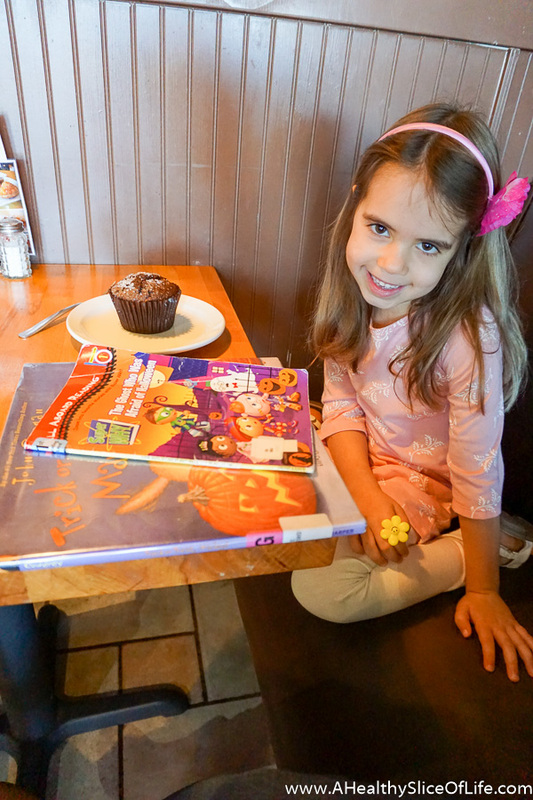 Hailey and I dropped Kaitlyn at school then hit up a nearby bakery with our latest library books. For about 30 minutes we took turns reading. The more advance books I read, while pointing out sight words for her to read along the way. Then we got back in the car and took off to my women’s group. Ah, this bible study always feels like group therapy. 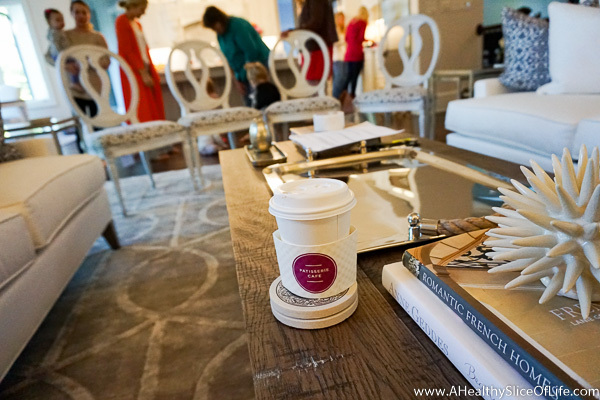 I love connecting with other women over our shared triumphs and struggles. Hailey played with other children in another room then about 2 hours later, we were off to pick up Kaitlyn. 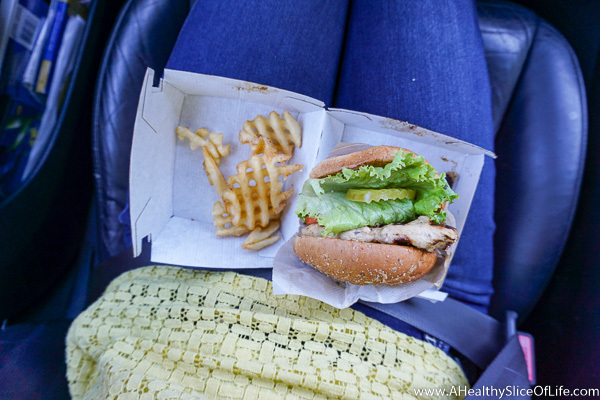 Having neither time nor resources at home to pack lunch, we drove through Chick-fil-A. I always add extra pickles to whatever I get because… pickles. 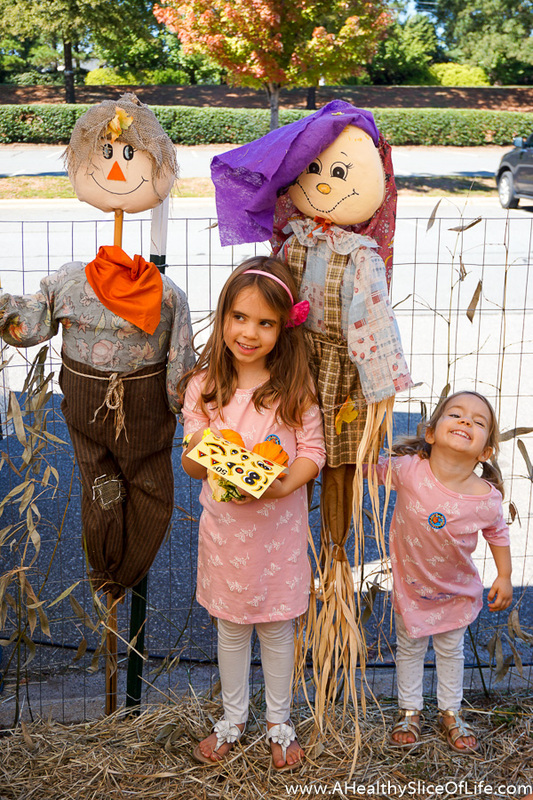 The kids ate in the car as we drove to meet friends at a small, local pumpkin patch. After snagging a few mini pumpkins (which currently are ALL over my house), we went next door to Bruster’s and let the kids get ice cream. My girls chose cotton candy explosion with sprinkles and eyeballs. 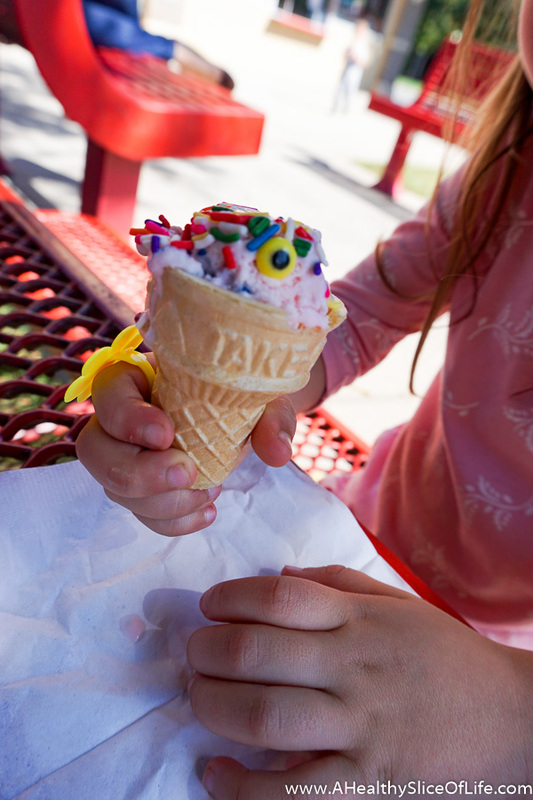 Did you know if you are under 40″ tall then they give you free kid cones?? Cool. 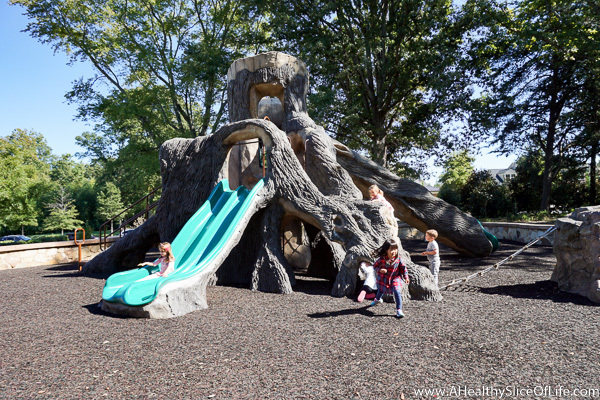 We decided to let the kids burn off the sugar energy and took them to one of my favorite local parks (Robbins’ Park for locals). We spent a while enjoying the fall breeze and chatting mom talk while the kids ran wild. It was a great day to be outside! We finally packed up around 4:00 pm. 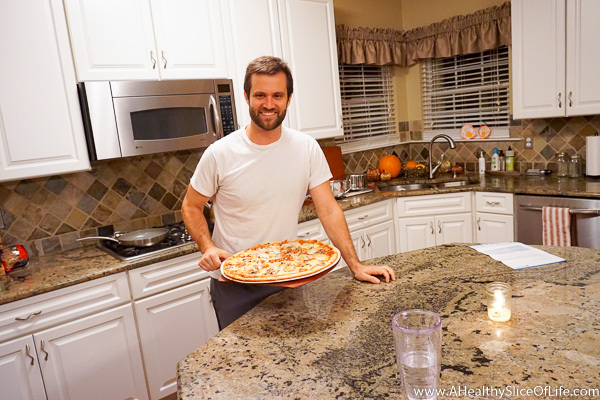 We took off to grab Papa Murphy’s take and bake pizzas- our fav. I dropped one off to a good friend, then headed home. I was ready for a glass of wine when we walked in the door around 5:15 pm. 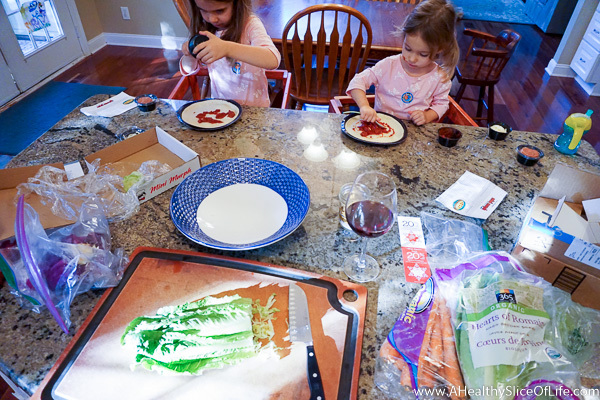 The girls got to work making their pizzas while I scoured the fridge for salad supplies. 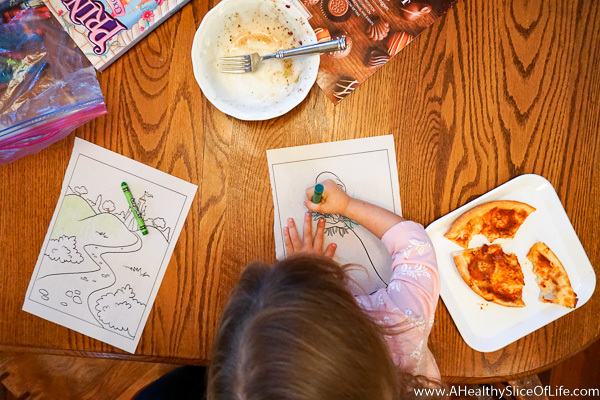 The girls and I colored, ate dinner, and then covered David with big hugs when he was able to join us. David took the girls up for bath while I cleaned the kitchen, then we divided and conquered. 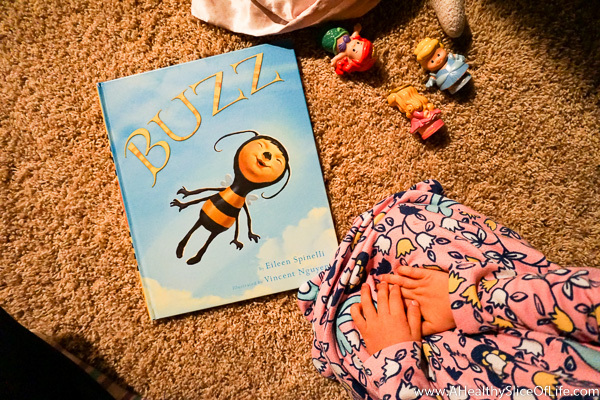 Kaitlyn picked Buzz as her book of the night (finally a switch up from How the Grinch Stole Christmas which she has been enamored with lately) and we sat on the floor with the princesses and mimi (her bunny) to read it. After books, Ariel turned on her noise machine (she lets the princesses take turns every night), then I covered her up with TWO blankets and she asked for TWO wipes (weird rituals I’ve somehow let develop), then with I love yous and good nights, I closed the door. –always one of my favorite evening scenes. I popped in our pizza and 15 minutes later sat down to dinner part 2 with this handsome stud. Both drained from the day, we ate on the couch while watching a History Channel documentary on the history of Disney World (really fascinating!) and talked excitedly about our first trip there with the girls coming up in a few months! Post documentary, we called it quits and switched to reading. It’s my FIRST TIME READING HARRY POTTER. And yes, you could say I’m a little excited. However, less than a chapter later, I was out like a light by 9:30 pm. And there is was- a nice little Thursday. This morning I’m heading to the grocery store, thank goodness. See what happens when I don’t meal plan? Eeks. What is one moment of your current days you wish you could bottle up in a time capsule? I’d like to time capsule my husband and I’s slow weekends without kids 🙂 From what I hear, we should really appreciate it before kids come into the mix! Are the girls sharing a room? I would love a post about the transition. How do you like bunk beds? 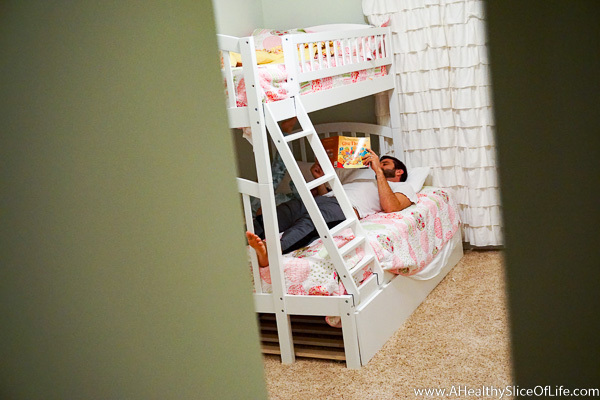 I’m thinking about getting some for my 5 and 2 year old when they start room sharing. They aren’t sharing a room at the moment. We tried it out (only for one night) and it was such a a disaster that we split them back up. We will try again when Kaitlyn is a little older. Friends that bunk their kids have told me it is a bumpy 2 weeks while everyone adjusts and the novelty wears off but if you are consistent, then it will be smooth sailing in just a couple weeks! Could there be a more wholesome family day? Doubt it. 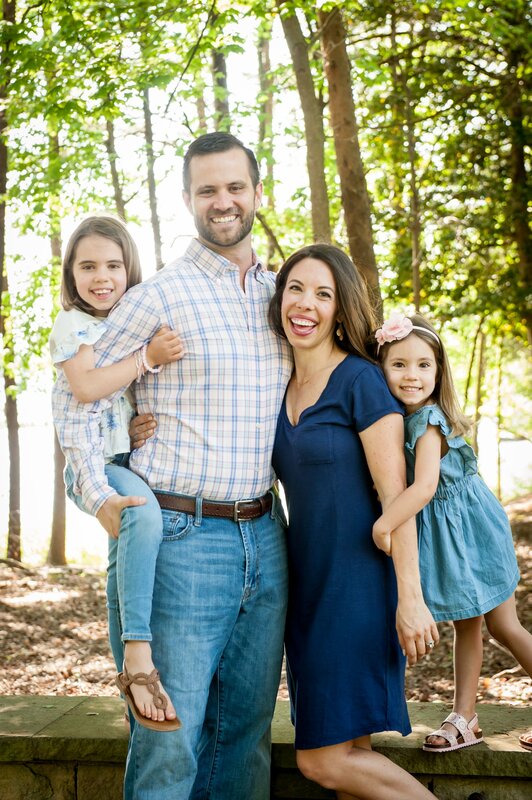 Your loving enthusiasm for family life permeates your blogs and brings smiles to readers like myself. Keep warming up the universe; it is needed! John J. recently posted..Lower Your Stress By Eliminating These People From Your Life! Always get extra pickles, especially at chickfila!!!! 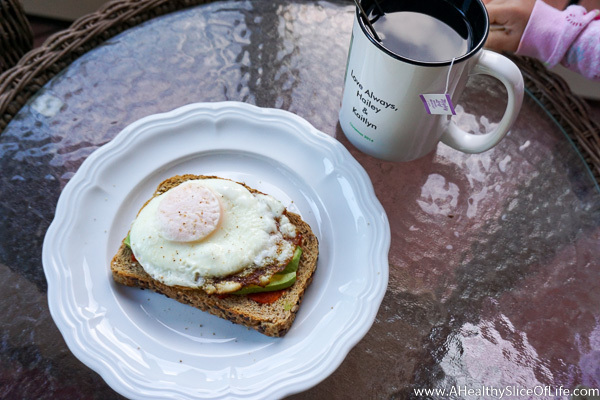 Christina recently posted..Celebrate National Breakfast Month with Eggs! That day sounds amazing! Just about perfect. We are hitting up Disney in Feb — our 2nd fam trip, for C’s 3rd bday! would be so amazing if our trips overlapped!! I’m so curious when you are going now- maybe we will overlap!! I need to email you because we are going to be headed to Miami too! SO excited you are experiencing the Harry Potter books for the first time!!! Ha ha, I just did a Day In the Life post yesterday! It’s fun to capture a day now and then to see how things change and what stays the same. 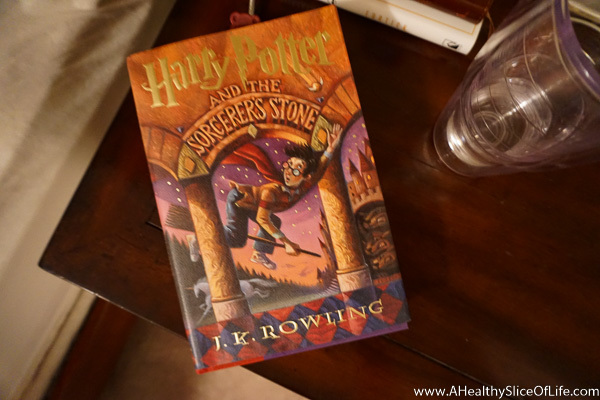 Enjoy reading Harry Potter for the first time! So much fun to do – especially this time of year! My favorite moments from right now that I wish I could bottle up are probably the moments when my kiddos are being their sweetest to each other and even though it’s a terrible habit, I secretly love it when my daughter stumbles into our room in the evening (usually between 9:30-10:30) and crawls into bed next to me. Those snuggles are my favorite and I know I will miss them one day. Sounds like a wonderful day! Although I can understand why you were tired at the end. I totally agree about wishing we could time capsule some moments. Just curious, does Kaitlyn no longer nap? Or did she nap at school? You are going to LOVE The Harry Potter books, by the way!! Naps are all over the place unfortunately! I’d say she naps about 2 times a week. I still put her in her crib for quiet time at 1:00, but only about twice a week will she fall asleep. The other days she sits and plays until I go get her around 2:15/2:30. What a great post. Love the day in the life but especially when we get to see that life isn’t always home cooked meals. Not a bad thing, just a real life mom thing. And Love the little insight into kids quarks. You should do a post about all the silly adorable little things your girls do. I have kids about the same age and they do the funniest things! I’ve thought about writing a post like that but not sure how well it would translate. As you know, so many of the funny things kids do or say are subtle but if I can find a good way to do it, I will. I love reading funny things other kids say/do! Chick Fil A, ice cream, and pizza is an epically good day. I haven’t read Harry Potter either! I’m always so behind on what’s in. Apparently 10 years behind on this one. Seems about right for me. It’s a great park isn’t it?! My 2-year old also a “wipes” obsession that I somehow have allowed to become a ritual. “Need wipe” is a regular yell we hear right after bed time. So funny! Your girls are so adorable! I miss mine being that small! Love your pickle advice too! You can never have too many! You were right in my neck of the woods! 😉 That’s a cute little pumpkin patch, we usually get most of our pumpkins there every year. And…HARRY POTTER! Still some of my favorite books of all time. Even my husband read the whole series and he generally doesn’t “have time” to read! Have a great weekend!!! So enjoy experiencing your daily life. You capture the small day to day happenings which mean so much to the heart!